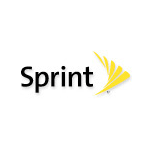 Sprint Spark has also expanded to six new areas: Oakland, CA; Orlando, FL; West Palm Beach, FL; Waukegan, Ill; Newark, NJ; and Tacoma, WA. This expansion brings the total number of sparky places up to 24. Sprint customers here should enjoy peak speeds of up to 60Mbps, as long as they have one of the fourteen devices that are currently compatible. This year's flagships such as the Galaxy S5 and the HTC One M8 are included, along with the Nexus 5. Look for future devices to have support as well. For more details, here's the full press release.